Please reach out to me at anytime if you would like more information on English Language Learners at colinger@acsc.net. Read Regularly- This is something that is irreplaceable to your child’s education. 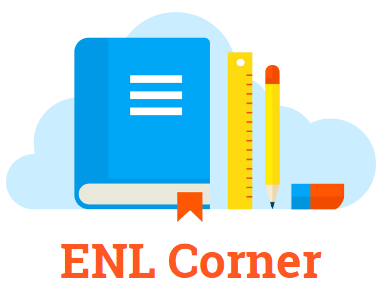 One misconception that ENL parents have is that all books that they read must be in English. This is NOT true! Reading in their native language can help improve overall reading fluency, while also preserving their native culture. Communicate with Teachers- For parents of ENL students, reaching out to teachers may seem intimidating. However, teachers are a very important partner to parents when it comes to helping your child reach their full potential. Don’t ever hesitate to reach out to your child’s teacher. They are there to support you! This month from September 15th-October 15th, we would love to celebrate Hispanic Heritage Month! Teachers will be given videos and other resources to share with their students to promote Hispanic Heritage. We would also LOVE to involve our students and families. If you have any ideas for what you would like to share with our school regarding your family’s culture (classroom presenter about family traditions, bringing in a traditional meal, etc. ), please set up a time to talk with myself and/or your child’s teacher!